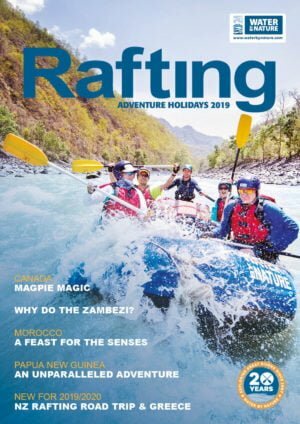 A Zambezi whitewater rafting trip, need not last just the traditional, one day. 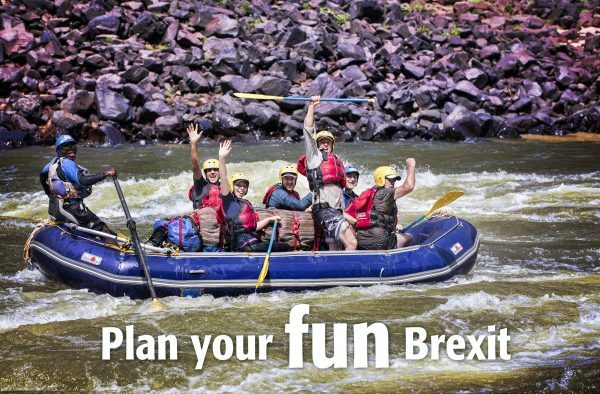 Adventures further down river reward rafters with stunning views, remote campsites, more challenging white water than the day trip, plus the chance, depending on which trip you choose to see wildlife at close range. On a 7 day trip to Matetsi river mouth, frequently our rafting guests get to see crocodiles and hippopotamus amongst the braided sections. 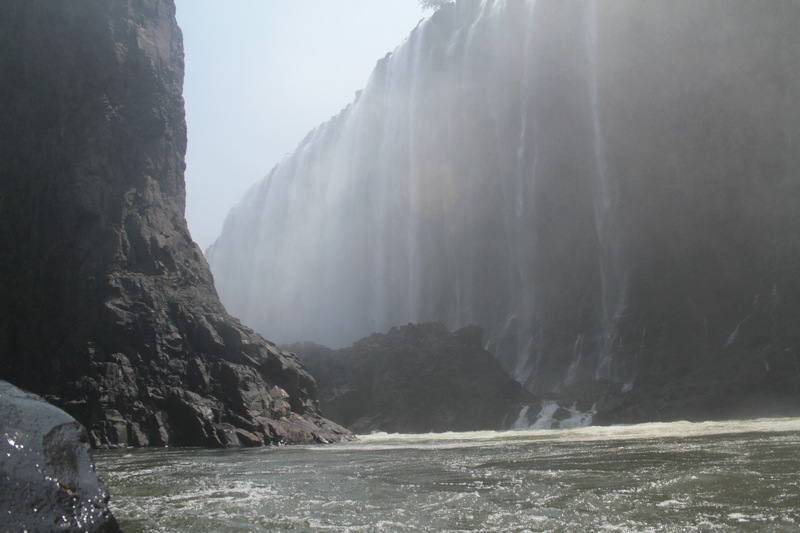 Then prepare yourself for the thrill of a lifetime, getting a flight back to Livingstone, via the magnificent Victoria Falls. You get to start your trip below one of the Seven Natural Wonders Of The World. You can choose to go on safari to Chobe National Park, where you can get to see some of the best wildlife is Southern Africa. You can get to choose to do some incredible adventures in and around Livingstone, such as walking with Cheetahs, lions or doing an elephant walk. You get a stunning helicopter flight up part of the gorge, over Victoria Falls and you’ll be dropped at your hotel on the banks of the river after the trip. 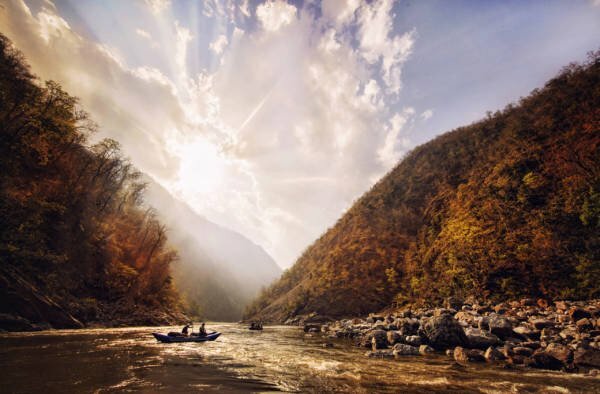 A relaxed schedule on the river, so it actually feels like a holiday. Incredible food and locations to eat in. Lunch beneath the falls on the first day is a special place that very few adventurers get to experience. 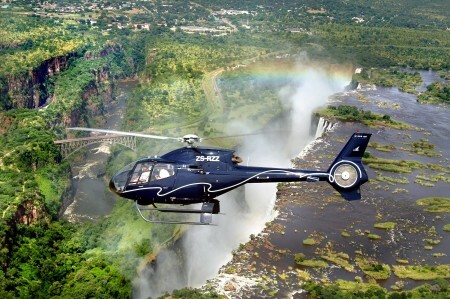 You’ll fly back up-river by helicopter and land at Taita Falcon Lodge after your trip. The Zambezi is at it’s best in the months of August until November in the dry season. 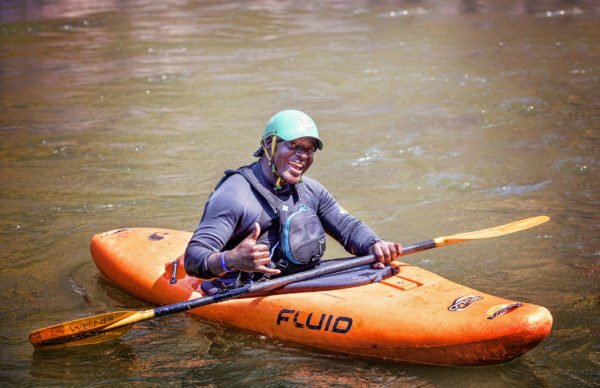 Challenge one of the best rivers in the world, The Mighty Zambezi.